So I have sucked Ben into the wonderful world of The O.C. We're almost done with season three, & I can tell it has grown on him. He has yet to get over Captain Oats & Princess Sparkle, but other than that, I know that he loves it. Also, there is no one more amazing than Sandy Cohen. This is the magic movie with Isla Fisher and Jesse Eisenberg, and it was definitely awesome. I highly recommend seeing it - there's a surprise twist ending! Holy cow. If you haven't had these before, I recommend you get off your computer and go buy one immediately. You only need one, they're insanely rich. But they're worth every gluttonous calorie. These are probably my favorite savory snack of all time. They're so addicting, even though you literally smell like 10 cloves of garlic after you've only eaten a few. Eat at your own risk... and probably not before you have to be around anyone. I ate at DePalma's two or three times in my last month in Tuscaloosa, and it was the last Tuscaloosa restaurant I ate at before I moved. Sentimental, but also it is the most amazing Italian restaurant, especially for the price. So don't worry, I'm still drinking straight espresso every morning, but these have become my second drink of the day. Ask for extra berries! This is one of the B&BW candles that have a travel theme (there are a bunch of different cities), but I was obviously drawn to the London one. It's a lemon/tea blend, & the candle scent description is "delight your mates with a fragrance fit for the Queen. 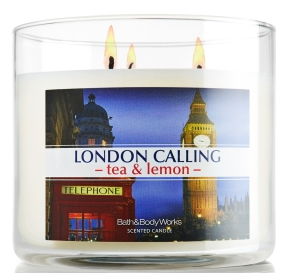 A royal blend of tea, lemon and sugar transport your senses across the pond. No passport required!" Obviously. It's hard for me to not love anything Mike Posner produces. I can't wait for the entirety of his new album to come out! I got back into Tumblr recently and have been living scrolling through it on my phone when I'm just passing time. If you have a tumblr, check mine out at http://jlfelicity.tumblr.com! 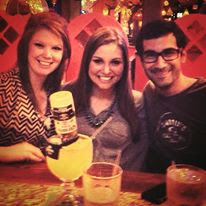 I can't believe I had to say goodbye to these two rockstars in Tuscaloosa. Aside from the fact that they ensured I never paid for coffee, they became two of the best friends I had while living in Alabama. I love them both to pieces and miss them both dearly. I can't believe we are in July and that I'm less than a month away from the bar exam! I'm sorry for falling off the blogging bandwagon, but I promise, we're almost through the woods and I'll be back in action as soon as I can!